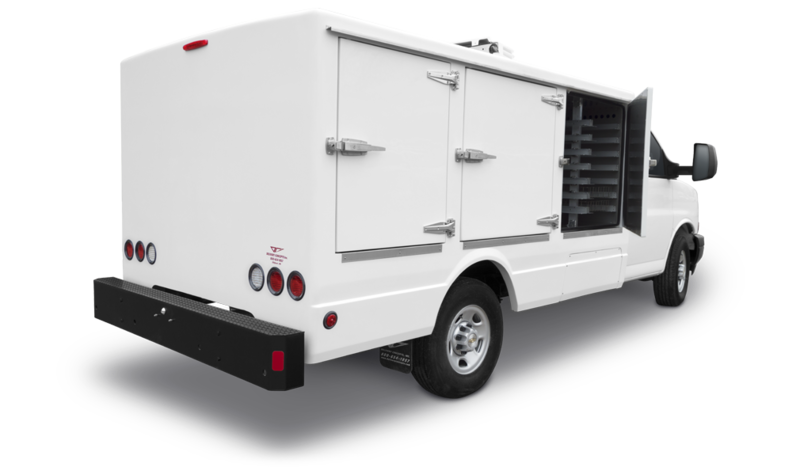 Heated vehicle conversions by Delivery Concepts maintain food-safe holding oven temperatures without the use of dangerous propane. 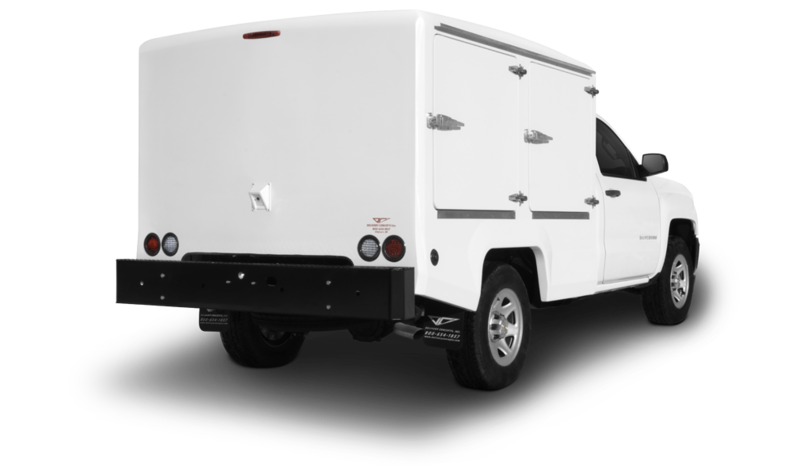 6-foot fiberglass body compatible with mid-size pickup truck chassis. 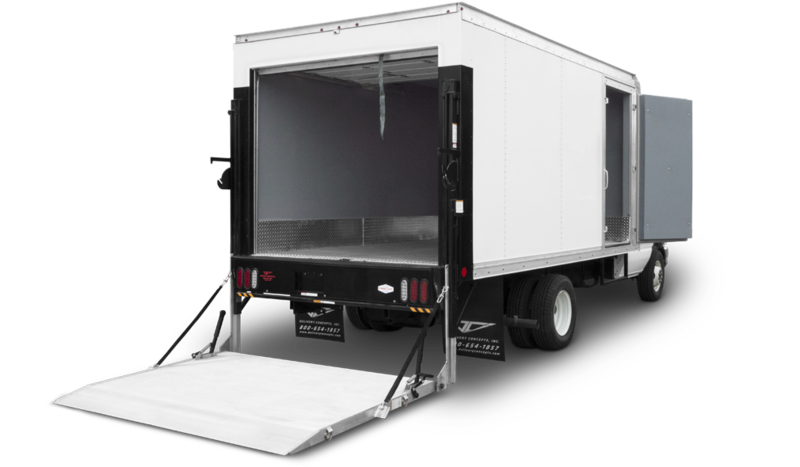 Frozen, refrigerated, heated, and multi-temperature upfit options. 6-foot fiberglass body compatible with full-size pickup truck chassis. Frozen, refrigerated, heated, and multi-temperature upfit options. 8-foot fiberglass body compatible with full-size pickup truck chassis. Frozen, refrigerated, heated, and multi-temperature upfit options. 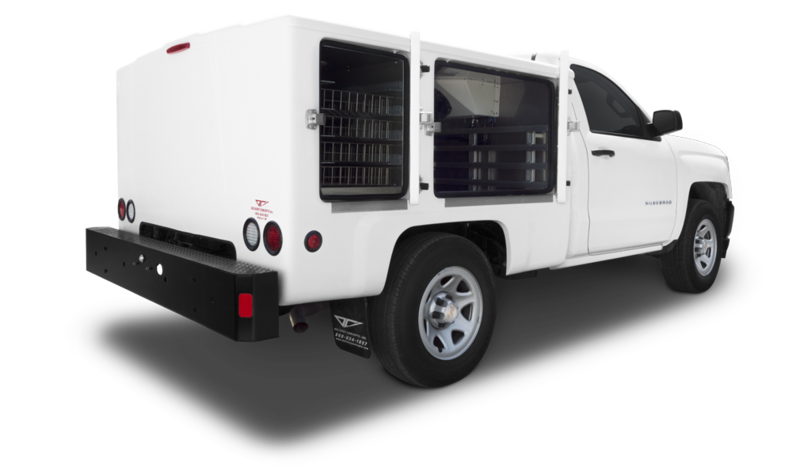 Temperature-controlled, fiberglass truck bodies compatible with most heavy-duty pickup chassis and cutaway van chassis. Frozen, refrigerated, heated, and multi-temperature upfit options. © 2019. Delivery Concepts, Inc. All Rights Reserved. 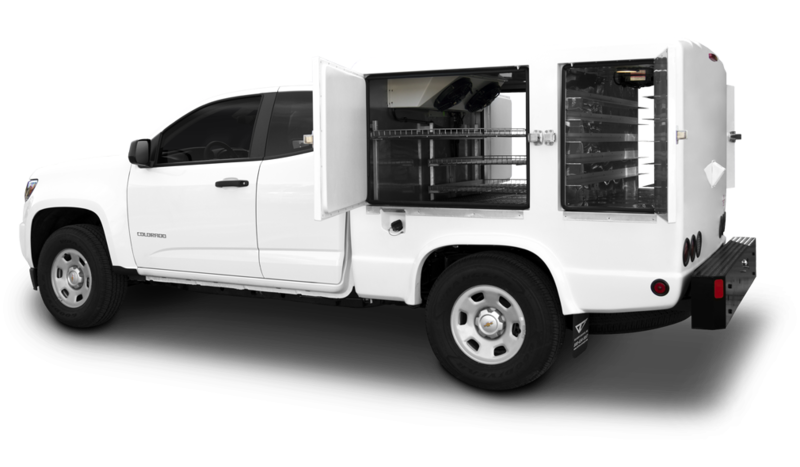 Tell us what you need and we’ll help you design the temperature-controlled delivery vehicle of your dreams.